Prefer the old school method of using a Tawse as corporeal punishment? This triple strike threat is made with sensual red leather and features a reinforced ergonomic handle so you can give it your all! The three fingers of this leather tawse each leave a gratifying red mark wherever it goes. 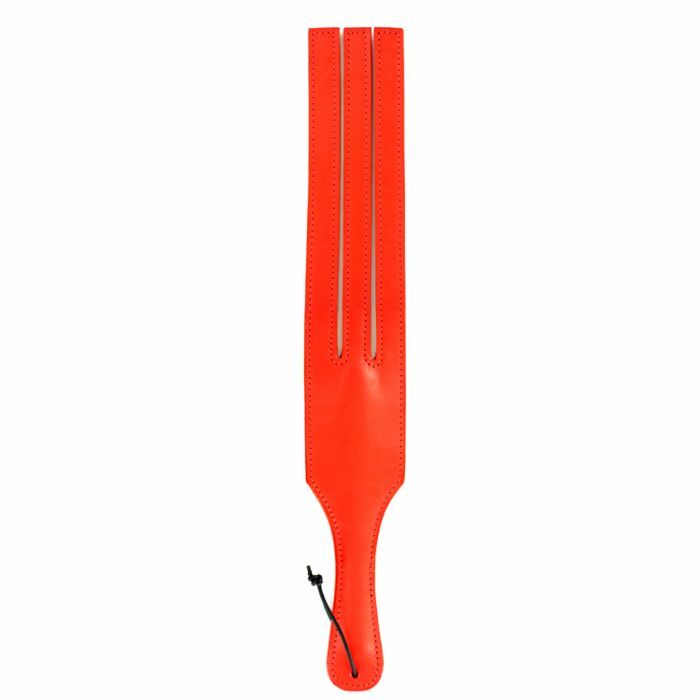 If you love impact play, you’ll love our UberKinky Leather Three finger Tawse in your collection.